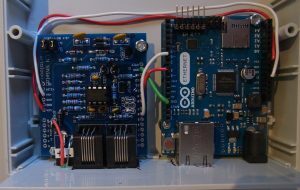 There is a nice Arduino library which makes development of own LocoNet hardware pretty easy, it is called “LocoNet” (!!). With the help of this library I made a few experiments with LN-hardware, mostly based on the projects of “https://opensx.net” (some Selectrix Arduino projects). One of the projects is a “bridge” from LN to SX, it allows to connect LN-Train-On-Track-Indicators (LN-Toti’s) to the Selectrix system. 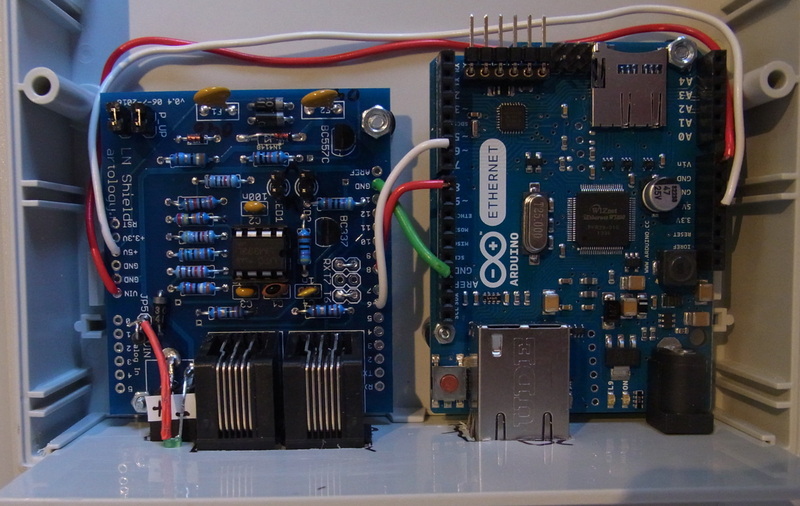 The hardware consists of an Arduino Ethernet (connection to SX is via TCP to the SX3-PC program) and a FREMO “LN-shield”, more details (and the software) can be found on github: LocoNetProjects.